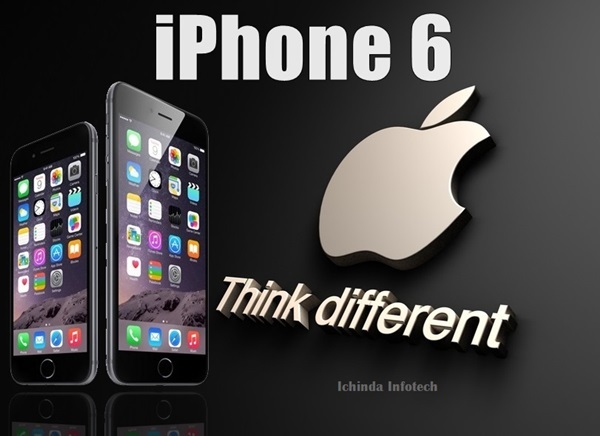 Apple iPhone 6, the faster, lighter, thinner and most innovative smartphone finally launched at an Event in the Flint Center in Cupertino, California, USA along iPhone 6 Plus and Apple SmartWatch. The all new iPhone 6 with with 4.7”-inch HD Retina Display, iOS8, A8 Chip, Finger print scanner, Apple Pay and 128GB memory launched in USA at Rs $199 for 16GB, $299 for 64GB and $399 for 128GB with contract slated to hit stores from 19th Sept and pre-order will begin from 12th Sept. in USA. Great news for Apple lovers in India, Apple iPhone 6 and iPhone 6 Plus will launch in India on 26th Sept. 2014 in Silver, Gold, Space Gray colour option expected to cost you at Rs 45,000 for 16GB, 55,000 for 32GB and 65,000 for 128GB. At last few honest word, the all new new Apple iPhone 6 is coming to rock and rule the smartphone market. What you think? Please be open to give your view.